Matthews Built for Q-LED Linear LED Lamps making it simple to mount 1, 2 or 4 Lamps off of a single stand. 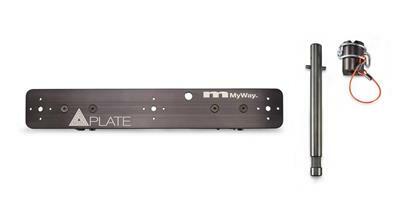 The options are endless with MyWayGrip accessories, from a simple 90 Degree Baby Pin to the advanced MSE InfinityArm . Whether a short Q15 1ft or the super long 8ft Q100, simply snap the lamps into the Q-Blocks and you're set. Articulating light couldn't get any easier.